The Las Brisas golf course is famous for its beautiful green landscaping created by Englishman Gerald Huggan. He has taken plants and trees from all over the world and with time, it has become a beautiful botanical garden. 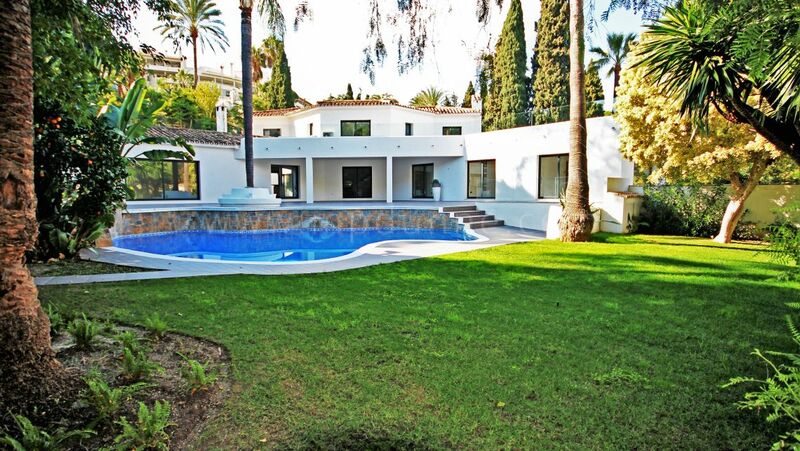 It is ideally situated in a natural valley in the Nueva Andalucía urbanisation with many distinctive tall palms that have been photographed many times by professional photographers. 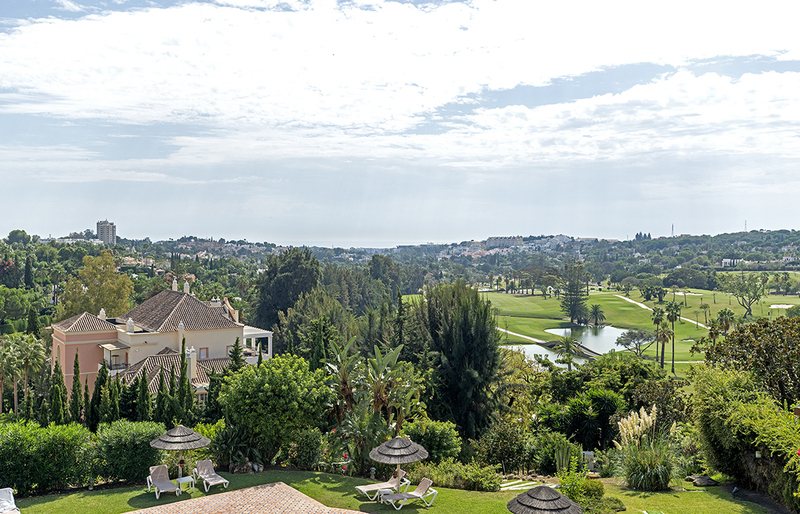 Las Brisas Golf is a private members club with the usual country club facilities for its members and their guests. One of the most popular of the Marbella Golf courses it is fully booked almost all year round even on the hottest summer days. Las Brisas is ranked as #6 golf course in Spain top 100 golf courses and rated #86 in Europe. Front line golf villas on the Las Brisas golf course are always in demand, and this type of property commands a premium price. It is like living in a park with fauna and many different kinds of colourful birds flying around. Usually, the views are sublime and extend over the fairways facing either East to have the famous La Concha mountain views or West to enjoy the evening sun and magnificent sunsets. The villas are set on quiet cul-de-sac streets with total privacy for their owners and a perfect tranquil life yet only moments from the glitzy Puerto Banús and Marbella nights. 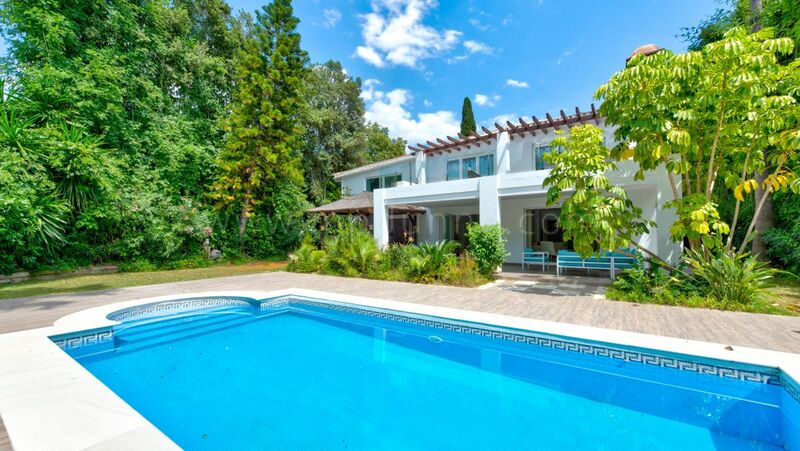 A front-line golf villa is a single home property with private swimming pool and at least 1.000 m2 of gardens, with a minimum of three to four bedrooms from about 250m2 built area but many are quite a lot more than this. 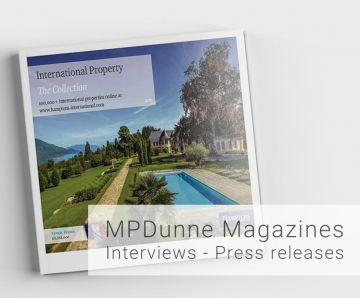 MPDunne Properties specialise in villas and can find you the perfect golf home in Marbella.